Meet Our Staff — David Metzdorf Jr. D.D.S. Dr. Metzdorf Jr. (or "Dr. Dave" as he is affectionately known to his patients) was born and raised in the Washington, DC area. 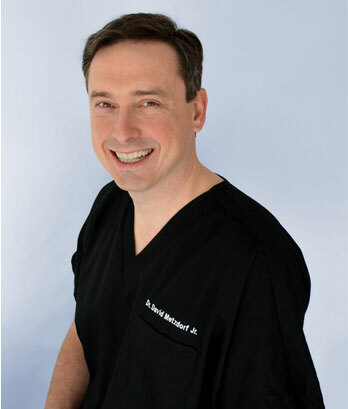 He received his undergraduate degree in Biology from the University of Maryland; then attended the University of Maryland's dental school and received his DDS in 1999. In his spare time, Dr. Metzdorf, Jr. enjoys cycling, sailing, repairing cars, and spending time with his wife. He also likes relaxing with his pets. Dave is known for his warm manner and gentle humor. He loves getting to know his patients over the many years that he sees them. He treats patients as if they were part of his own family. The most rewarding part of Dr. Metzdorf’s job is being able change the negative stereotype about coming to the dentist that a client might have. He also enjoys discussing with patients how to be pro-active with their oral hygiene so small problems don’t become larger ones down the road. 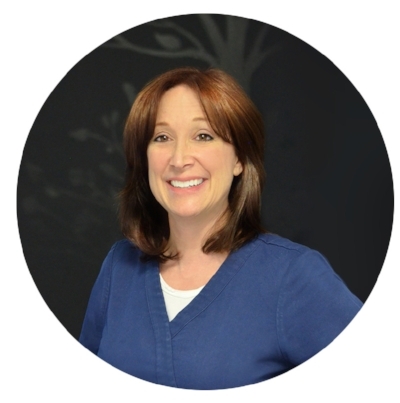 Allison’s most important goal as a dental hygienist is to make her patients feel comfortable by building a relationship with them and meeting their individual needs. Even as a child, Allison enjoyed visiting her dentist, and especially loved her hygienist. Now, as a hygienist herself, she encourages young people and hopes to inspire them to be a dental hygienist, just as she herself was inspired as a child. Born in Boston, Massachusetts, Allison moved to Northern Virginia at the age of 12. She graduated from Northern Virginia Community College with an associate’s degree in dental hygiene in 2006. She and her husband have two sons, who keep them very busy with sports and Cub Scouts. In her free time, Allison enjoys running, hiking and spending time with her family. Lisa’s role as office manager is to take care of all the background tasks needed to enhance the experience of patients and make them as comfortable as possible. Growing up in a military family, Lisa loved visiting new places and meeting new people. As she grew older, she knew she wanted to work in a field that mirrored her childhood. Lisa became interested in dentistry at a very young age. In fact, she was one of very few people who loved getting braces and was fascinated by that process! Today, as office manager, she focuses her efforts on making sure patients are cared for and their fears addressed. Lisa also hopes to do more chairside assisting in the future. She lives with her husband, Kevin, in Broad Run, VA. In addition to five grown children, Lisa and Kevin also have three dogs. In her free time, Lisa loves fishing, collecting antiques, cooking, and playing with her Great Dane.